Sudanese People’s Liberation Army In Opposition(IO) rebels have again accused Salva Kiir’s government forces of violating the ceasefire by attacking their defensive positions. 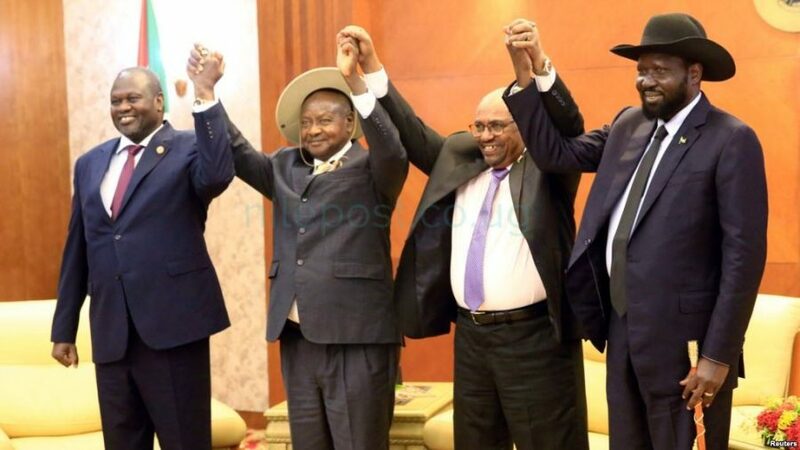 On Saturday, a peace agreement was reached at in Kampala by the rebel factions and the South Sudan government led by President Salva Kiir to end fighting. However, in a statement released on Thursday by their Deputy Military spokesperson, Col.Lam Paul Gabriel, said that government forces carried out an attack on SPLA –IO forces before being repulsed. “This morning the 12/07/2018 at about 09:50am, the regime’s forces left their base of Sokare and launched an aggressive attack against the SPLA IO defensive position in Mangalatore, Kajo keji,”Col.Lam said in a statement. According to the rebels, the government forces moved from Yei to Kajo Keji via the Ugandan border towns of Koboko,Yumbe and Moyo. They called upon international bodies to reign in on the government forces for violating the ceasefire. The proposals tabled on Saturday in Entebbe including power-sharing between president Kiir and his nemesis Machar are still under discussion and regional bodies are hoping for the best at the end of the day.